Family vacations along the Grand Strand often require grande North Myrtle Beach vacation rentals. 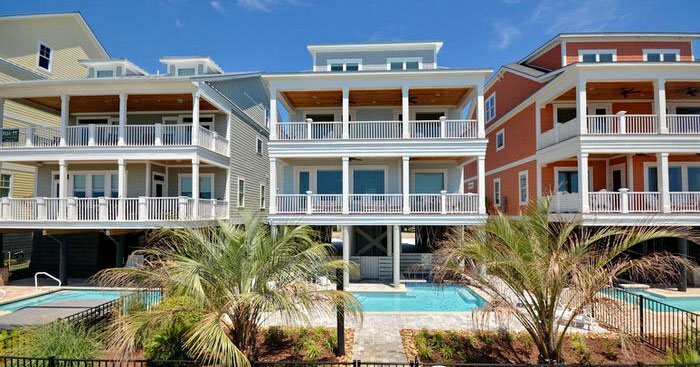 Elliott Realty Grande Villas offers a nice collection of extraordinary vacation properties that are truly luxurious and more than suited for family reunions and multi-family North Myrtle Beach vacations. These grande North Myrtle Beach rentals include oceanfront beach houses and penthouse condominiums in North Myrtle Beach, SC that can accommodate larger groups, as many as 32 people! The great thing about choosing a grande North Myrtle Beach rental is that your North Myrtle Beach vacation property is always within walking distance to the sugary white beaches if it is not already on the oceanfront. North Myrtle Beach vacation rentals are ideally situated close to beach clubs for shag dancing, live entertainment theatres for family-friendly productions, incredible restaurants for delicious seafood and a variety of shopping that offers plenty of retail therapy. While Elliott Realty Grande Villas can provide spacious North Myrtle Beach accommodations for your vacation, you can give your family all the fun a beach vacation should include because these grande North Myrtle Beach rentals are close to it all. When a large group vacations in North Myrtle Beach there is bound to be a golfer among them. Thankfully, the Myrtle Beach, SC area has more than 100 golf courses. The golfers can enjoy nearby championship golf courses by day and comfortable, spacious North Myrtle Beach accommodations by night. Everyone will be happy with a North Myrtle Beach vacation at a grande property, even if there are 32 people under one roof!